At just under a mile, the Dinky Line Trail runs between Orlando's downtown urban core and Loch Haven Park—home to art museums, performing arts theatres, and a science center. The Dinky Line got its name from the narrow-gauge tracks of the Orlando and Winter Park Railway, which used to run between the two towns. Since the last tracks of the Dinky Line were removed in 1969, the city has wanted to acquire the old railroad corridor and develop it as a recreational trail. In 2007, The Trust for Public Land started working to purchase the land from CSX Transportation and in 2010 transferred the property to the city of Orlando. 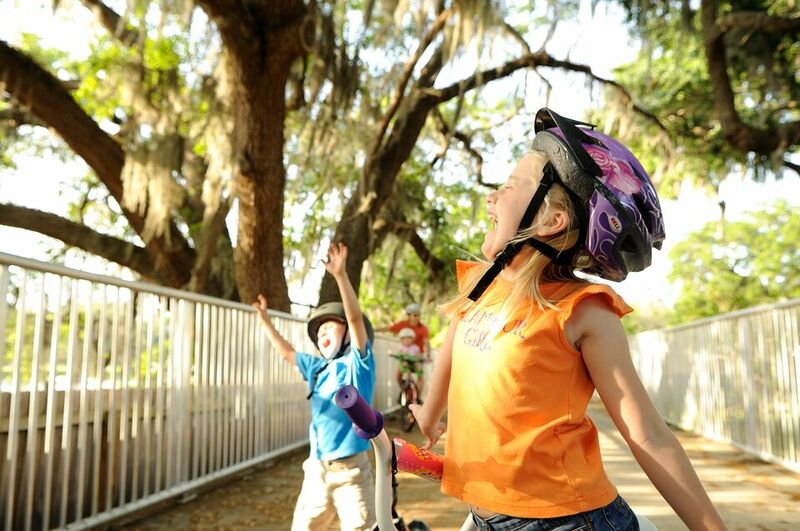 The trail is an important addition to the city's numerous urban bicycling trails and connects to sections of the Orlando Urban Trail—a favorite for both pedestrians and bicyclists.